From the first gawky little eohippus of 50 million years ago to his thoroughbred descendants of today, here is a book about all kinds of horses--whether thundering into battle beneath an armor clad knight, prancing before carriages, plodding around cornfields pulling plows, or racing for kings, they spring to life on every page. This is also a picturesque and unique glimpse into history, for horses have been valued and used by men as far apart in space as the Samurai of Japan to the farmers of France, as distant in time as ancient Egyptian charioteers and American cowboys. 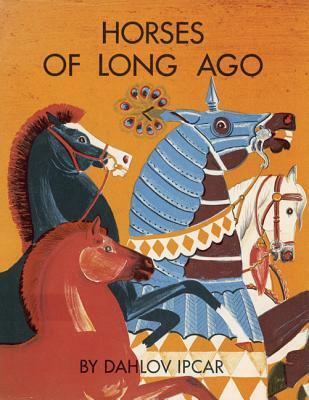 In beautiful color illustrations and clear informative text, noted author-artist Dahlov Ipcar brings to life men and their horses through the ages--their customs and costumes, and the ways they have worked and fought and played.